Team GB will be hoping that the 6,000 seat Velodrome will be one of the main scenes of glory for them in 2012 on the back of their performance at the 2008 Beijing Olympic Games. Designers even consulted with Team GB and in particular triple Beijing gold medallist Sir Chris Hoy prior to constructing the venue. Some of those lucky enough to win the hotly contested tickets for the cycling will be literally sitting in one of the roof's two curves. Another of the venues located in the iconic Olympic Park in London, the park is built on a site which has history of bronze and iron age settlements. 26 specialist carpenters were needed to lay the 250 metre track, which is fitted into place by 300,000 nails. One of the most iconic structures to host events during the Games with its pringle shaped roof, its glass wall allows spectators a 360 degree view across the Olympic Park. The Velodrome was the first venue at the Olympic Park to be completed, and came in at £90 million, with organisers hailing the track as the world's fastest. The venue is built on an old landfill site, meaning that the 900 piles which formed the foundation for the stadium had to be driven 26 metres into the ground. After the Games the venue will come under the ownership of the Lee Valley Regional Park Authority, and the Velodrome will become part of a VeloPark, along with the neighbouring BMX Circuit. The Park will include a cafe, bike hire facilities and a cycle workshop. 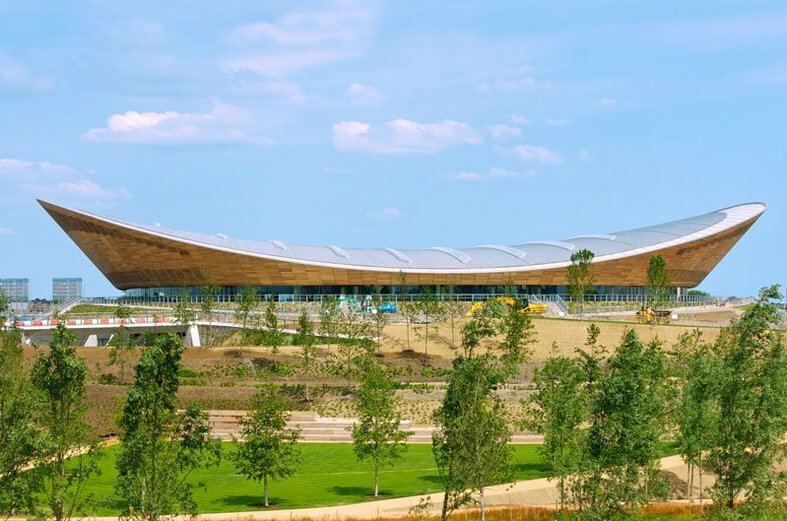 The VeloPark is intended to stage major sporting events, and Olympic Organisers hope it will help to make London the cycling capital of the world.